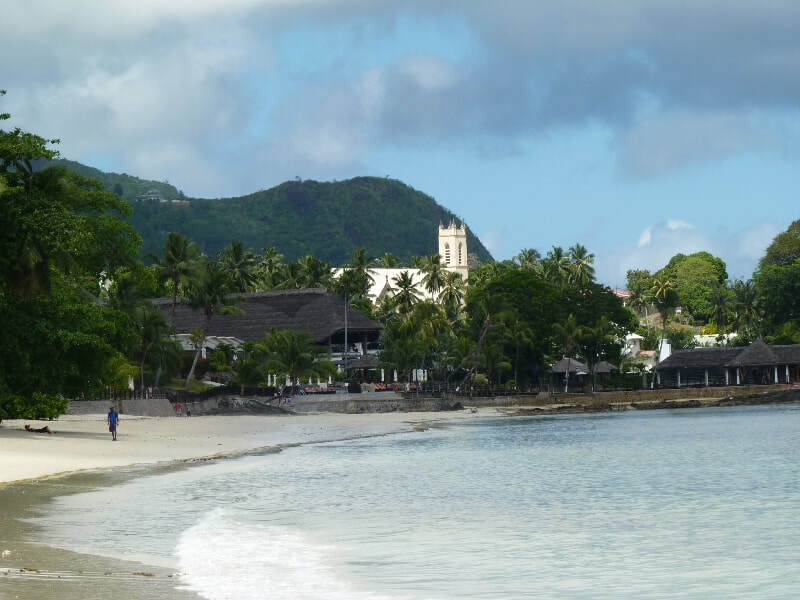 ​The Sandwatch Indian Ocean Regional Workshop was held at the beautiful Berjaya Beau Vallon Resort, Beau Vallon, Mahe, Seychelles. 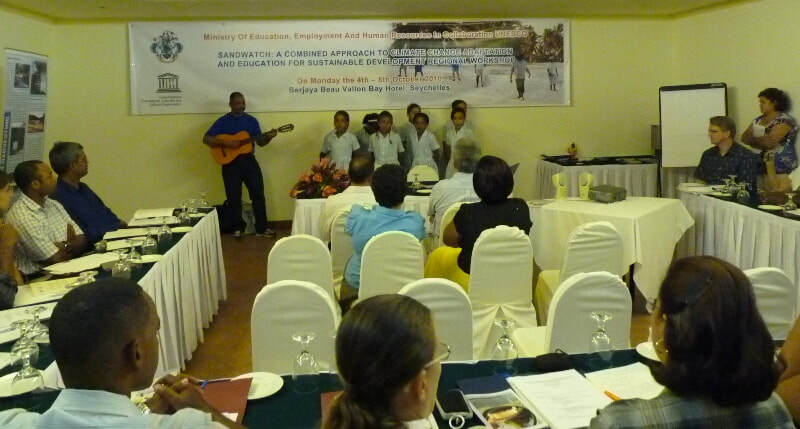 Workshop arrangements were coordinated by a team led by Jeanette Larue and the Seychelles Ministry of Education, Employment and Human Resource Development. The workshop started with a formal opening and discussions about climate change in the small islands. 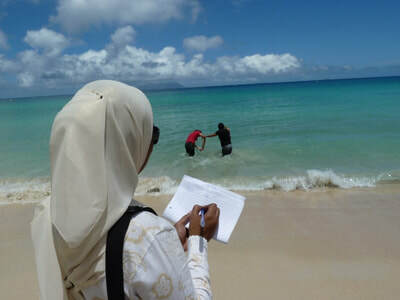 The main part of the programme involved introduction and training in the Sandwatch monitoring techniques, which were th en practised on the nearby beach at Beau Vallon. Sandwatch networking was the focus of one half day session. 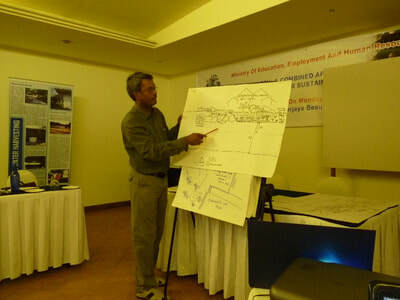 The workshop wrapped up with a planning session on next steps. 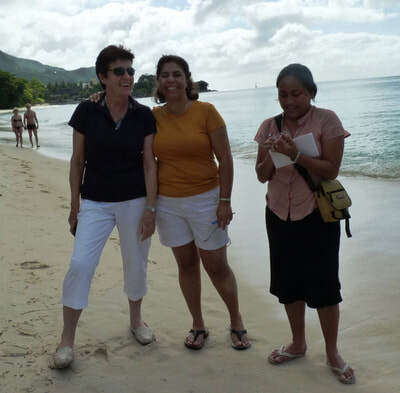 On the final ( fifth) day of the workshop, participants had the opportunity to attend a prize giving for schools, visit Grand Anse School, Mahe, and visit other sites of interest around Mahe. · To introduce and discuss the prototype Sandwatch database. Some of the participants were new to Sandwatch while others were experienced Sandwatchers. Dr. Marie Reine Hoareau, Secretary-General, Seychelles National Commission for UNESCO gave an address and emphasised the challenging nature of climate change for Small Island Developing States (SIDS). Education is a fundamental part of bringing about the changes needed for adaptation and mitigation. Seychelles joined Sandwatch in 2004 and this triggered climate change education in Seychelles. 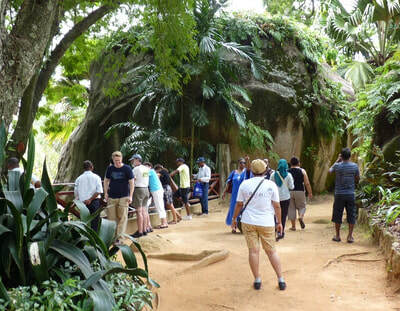 In Seychelles the natural environment is used as a teaching resource. 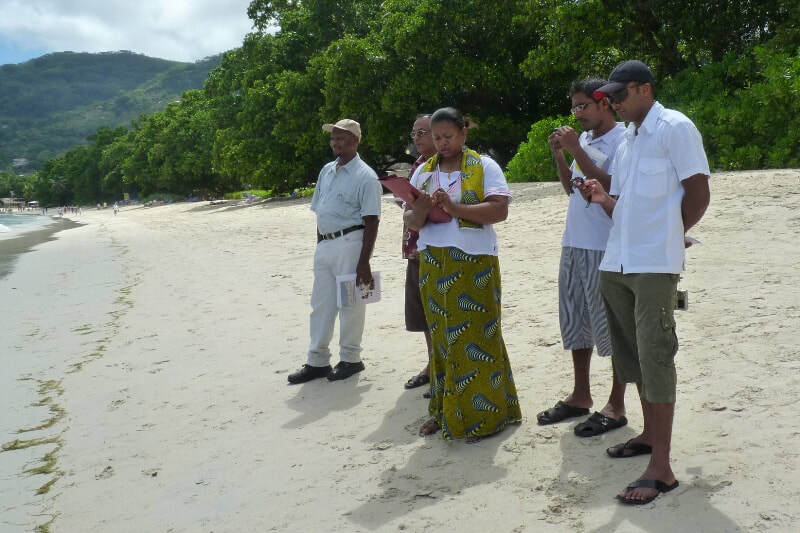 Mr. Hans Thulstrup of UNESCO’s Small Islands and Indigenous Knowledge Section acknowledged the support of the Government of Denmark for this workshop and distributed the new Sandwatch Manual to visitors and workshop participants. 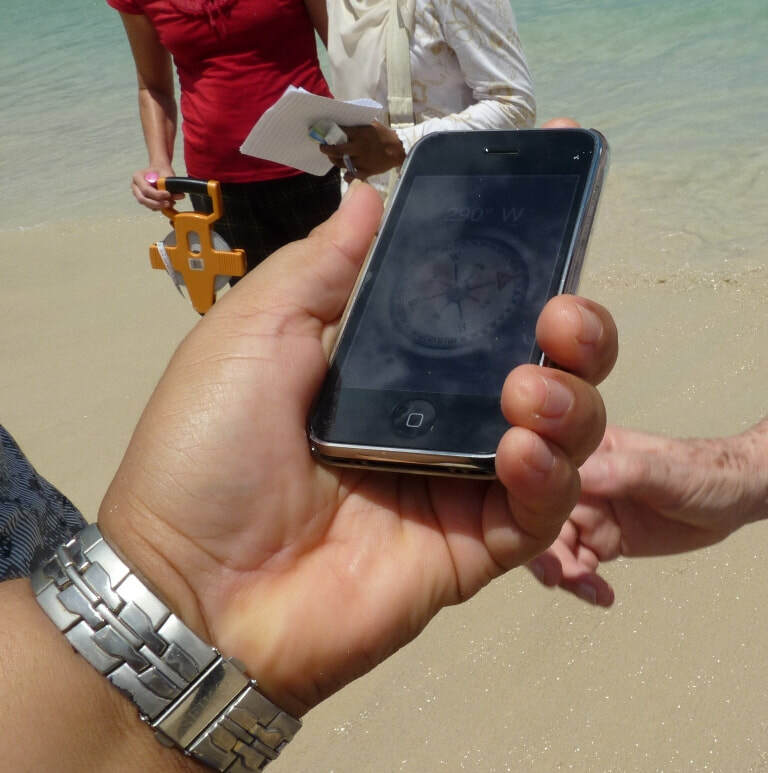 Sandwatch is an interesting example of climate change education and connects global phenomena with local changes. Mr. Bernard Shamlaye, Minister for Culture and Social Services, formally opened the workshop. 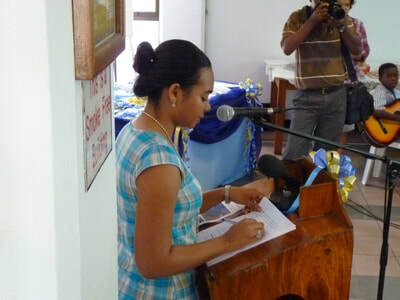 The opening ceremony was attended by the Seychelles media and there was a news clip about the opening on TV on 4 October 2010 and an article in the Seychelles Nation of 6 October 2010. 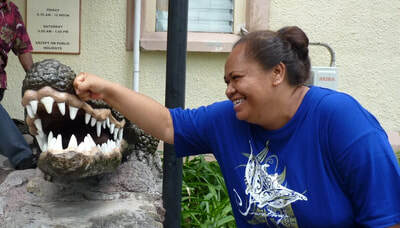 Morena Rigamoto described some of the changes already being observed in Fiji. These include variations in rainfall patterns such that water needs cannot be met in some communities. 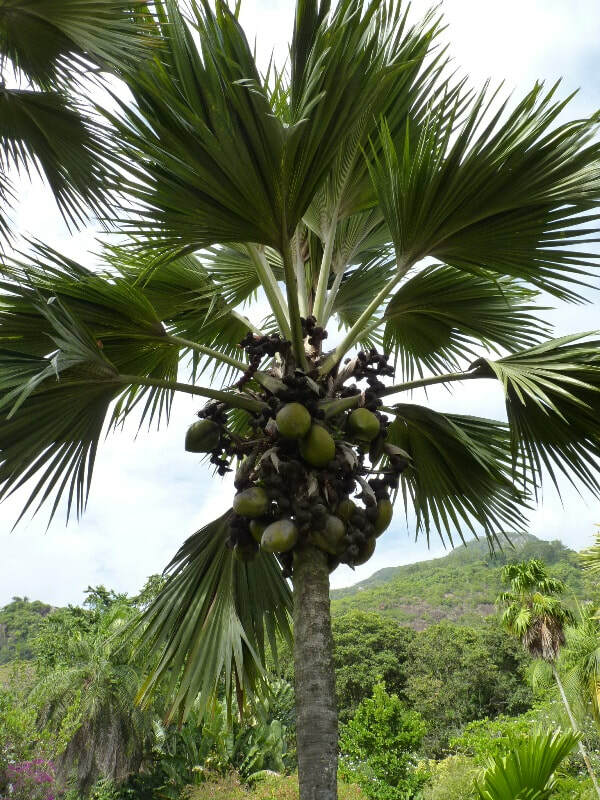 Other emerging problems included soil salinity and fish poisoning. 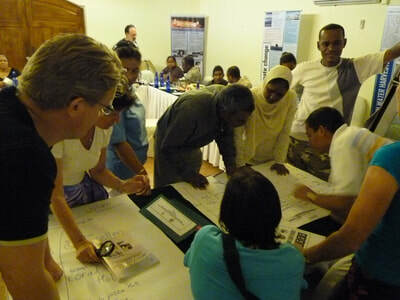 She noted that innovative approaches were needed including ecosystem based management and multi-sectoral approaches. 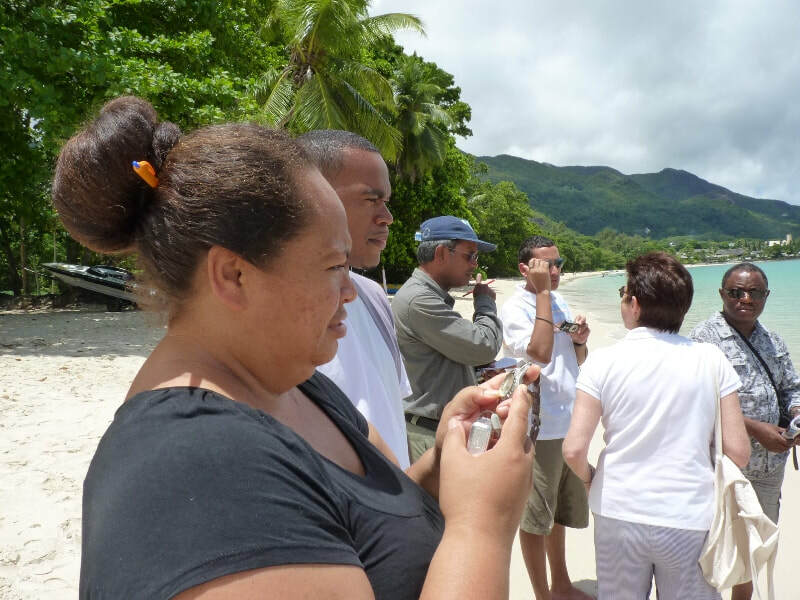 Rolph Payet noted that sea level rise was one of the major issues for small islands and that there was a need for a new approach to coastal planning that takes sea level rise into account. 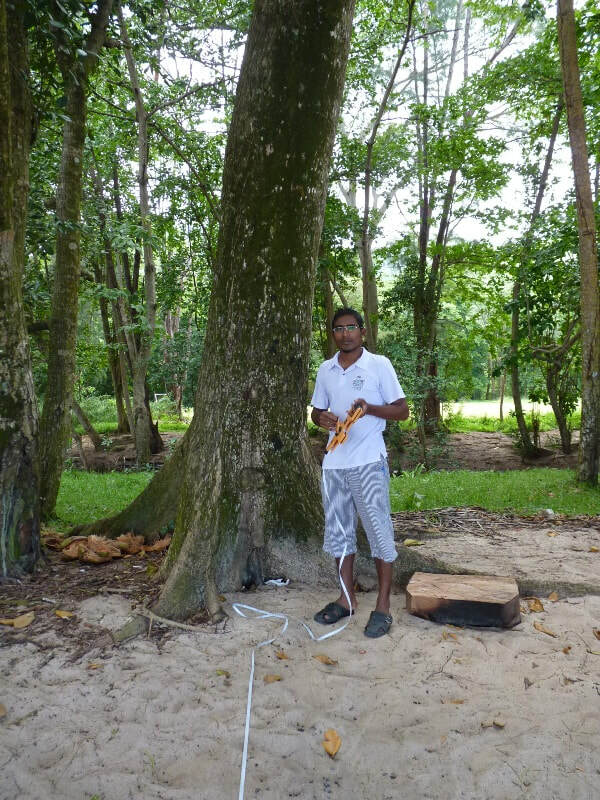 He noted that Sandwatch provides an opportunity for young people to play a caretaker role and that a coastal tree planting programme was ongoing in Seychelles. There is an opportunity for the private sector, including the banking and insurance sectors, to play an important role. The hotel sector can play a pivotal role in bringing the private sector on board. Gillian Cambers emphasised that climate change is still a very new concept for many people and is a very difficult issue since you cannot see it or touch it, it is scientifically complex, takes place over long periods of time and for many people it is just not relevant to their daily lives. It is necessary to focus on changing people’s actions rather than their attitudes and that Sandwatch was a good example of how to achieve this. 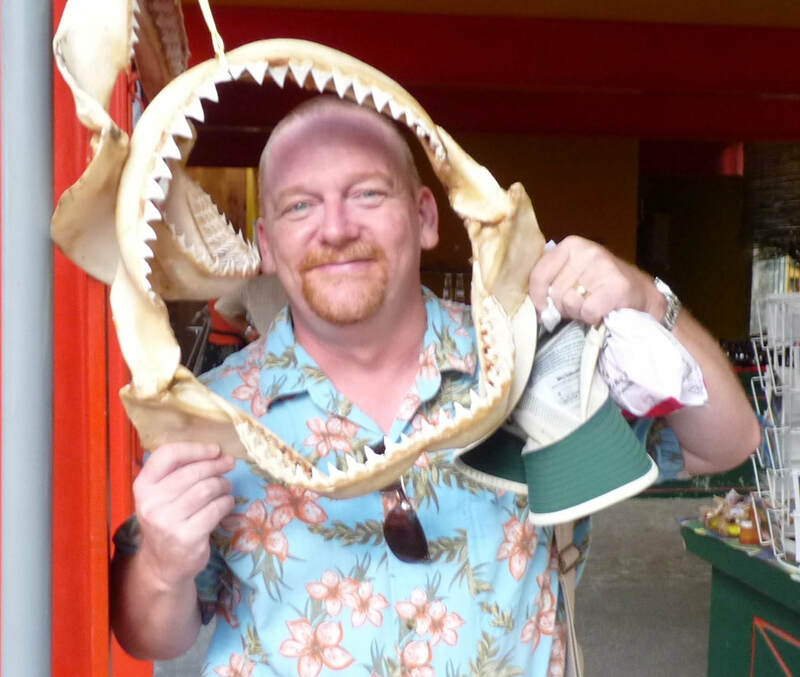 · Long time frame needed for climate change responses. Changes are already taking place in Seychelles, e.g. 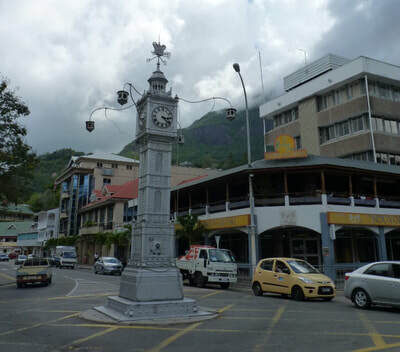 one of the islands was affected by a cyclone two years ago and Seychelles had always considered itself outside of the cyclone zone. There is a need for small islands to play their part in mitigating climate change even though they only produce small quantities of greenhouse gases. Climate change education must be child centred and participative and there is a need to build teacher capacity to take on climate change in a competent manner. 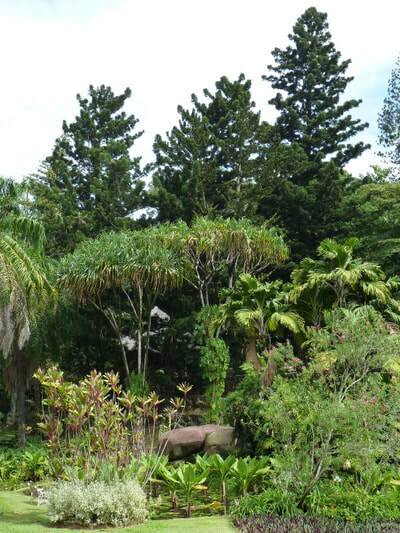 Seychelles has started a rainwater harvesting project in the schools in with support from the United Nations Environment Programme. 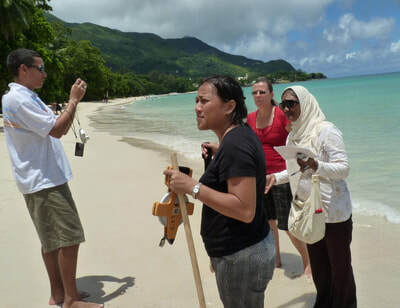 Sandwatch started in Seychelles in 2004 and was responsible for kick-starting climate change education in Seychelles by linking coastal rehabilitation with climate change. 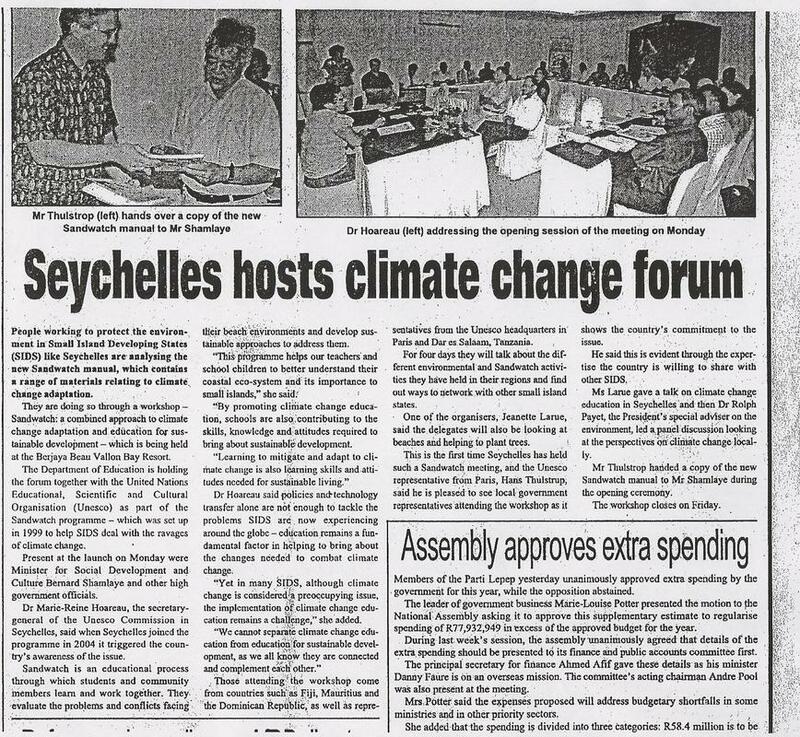 Seychelles is starting to include climate change as a subject in the school curriculum, through social studies at Primary 6 level, and through geography at Level 3. 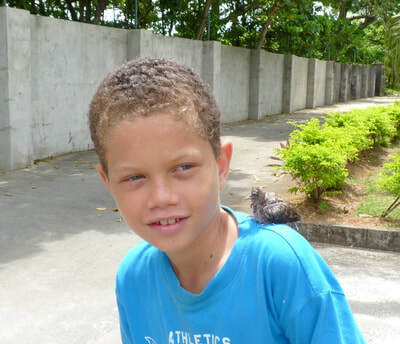 Climate change education needs to be consistent with sustainable development strategies and islands around the world need to share their resources and experiences. UNESCO’s mandate for climate change education comes from several different sources: (1) Article 6 of the United Nations Framework Convention on Climate Change, (2) Decade of Education for Sustainable Development, (3) Chapter 16 of Agenda 21, and (4) the 2009 UNESCO International Seminar on Climate Change Education. 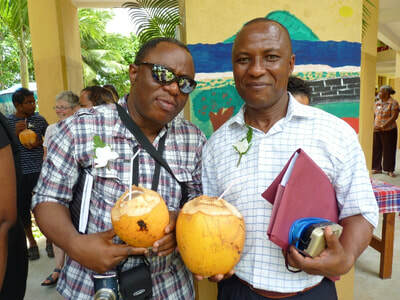 These laid the foundation for the launch of UNESCO’s climate change education initiative at COP 15 in Copenhagen in 2009. The initiative involves utilising UNESCO’s interdisciplinary capacity to build the knowledge base and advance climate change education while maintaining cultural and biological diversity, and addressing ethical and social dimensions of climate change. The focus should be on children and young people. Sandwatch has the potential to link good science with action. An overview of the Sandwatch approach: Monitoring, Analysing, Sharing, Taking action (MAST) was presented. Reference was also made to Decade of Education for Sustainable Development and how Sandwatch contributed to climate change adaptation by making beaches more resilient to climate change. A half-day session describing and demonstrating various forms of Sandwatch networking was conducted on the second day of the workshop. This included making a video using Moviemaker, preparation of newsletters and other products using MS Publisher, and maximising the power of the media. 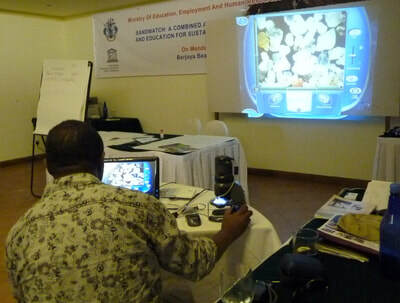 Demonstrations of the use of Google Earth and digital microscopes were also held. 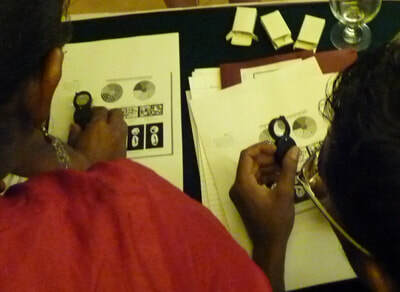 At the end of this session, participants worked on short articles for the Sandwatch newsletter. · Art work – models of the beach. Schools in the Cook Islands are on a 2 or 3 year cycle, so that Sandwatch features every second or third year. Sandwatch is also integrated into other ELAs. Sandwatch students often visit other government ministries, e.g. those responsible for environment, marine resources and health, to gather further information. In the Cook Islands, the teachers are seen as the Sandwatch champions and it is essential to retain their support. · How to involve youth groups and communities now that the schools are fully on board. 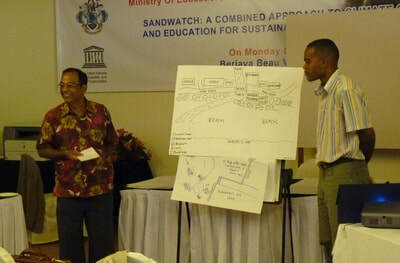 Sandwatch started in the Dominican Republic in 2001 after the first Sandwatch Training Workshop in St. Lucia. A national committee was established with representatives of the ministries responsible for education and natural resources, as well as the National Aquarium. 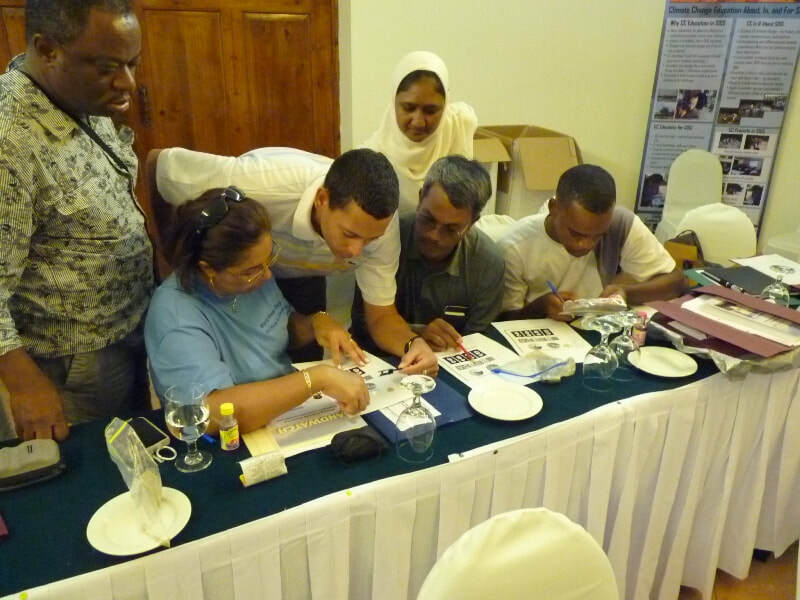 Forty teachers were trained in Sandwatch techniques covering 200 km of coastline on the south coast. 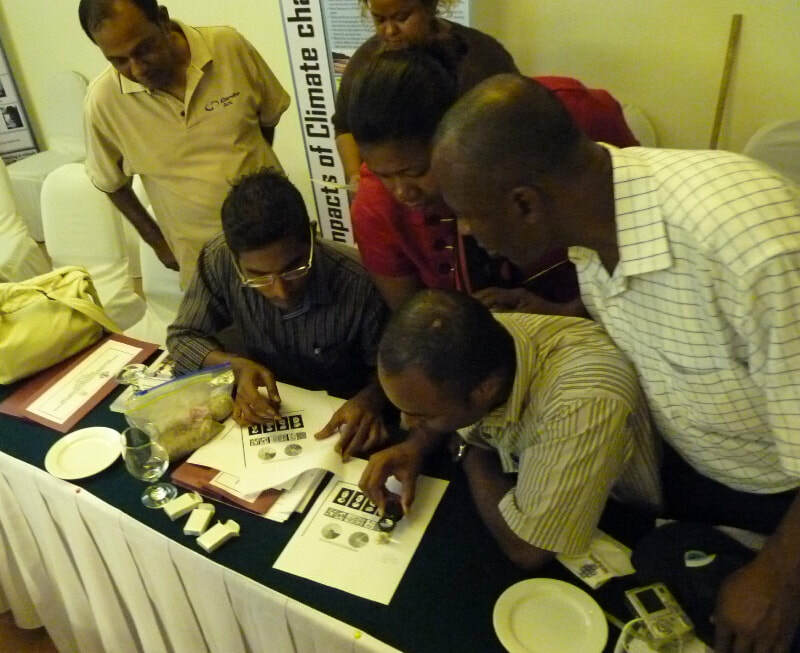 Training workshops are held every year. At present 75 schools are involved in Sandwatch. Despite several proposals, Sandwatch is not yet formally included in the curriculum. This will take time and perseverance. However, Sandwatch is integrated into school activities e.g. high school graduates have to complete 60 hours social work as a graduation requirement and Sandwatch activities are often used to fulfil this requirement. In 2010, 25 high school students registered Sandwatch activities for this requirement. 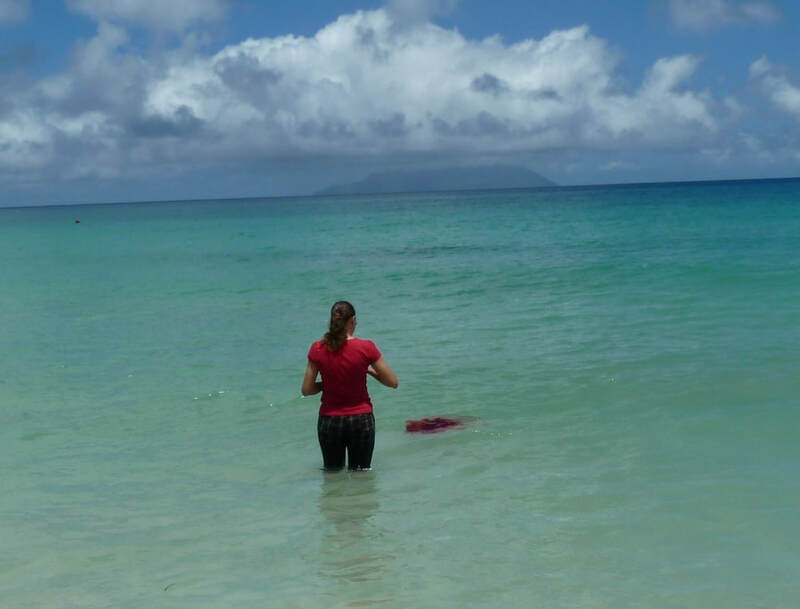 Several innovative approaches have been used such as encouraging private schools (with more resources) to sponsor and assist public schools to undertake Sandwatch activities. It is very important to meet with other government departments to discuss and apply the results of Sandwatch monitoring. In 2009 Grenada started reforming their curriculum in the hope of creating more ‘rounded’ students taking into account academic education, personal development and technical skills. Having heard about Sandwatch from various sources, in 2010 the UNESCO National Commission in Grenada, with the support of the Ministry of Education and the Curriculum Unit, requested help from the Sandwatch Foundation to conduct a Sandwatch pilot project. A Sandwatch training workshop was conducted in April 2010 involving teachers and educators, as well as representatives from the US Peace Corps and St. Georges University. Since then 12 schools have been implementing Sandwatch. 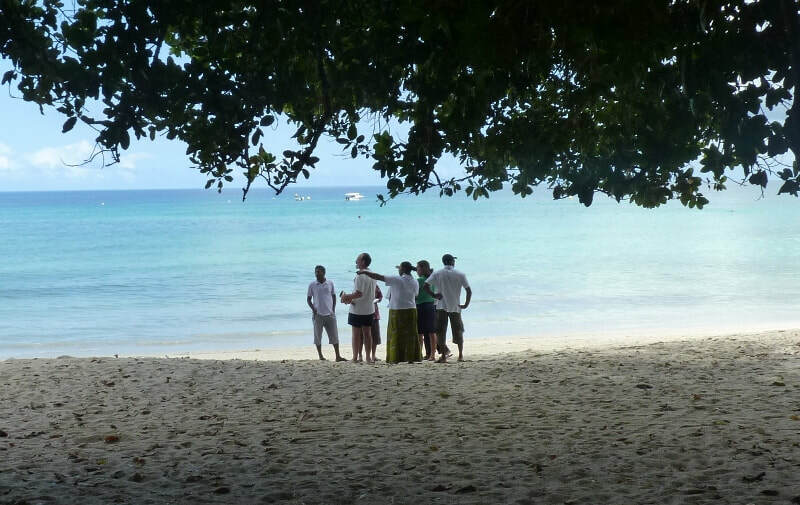 This is seen as a demonstration activity with a view to incorporating Sandwatch into the reformed curriculum. In 2010 an expression of interest was received from the Environmentally Safe Aggregates Tarawa (ESAT) Project, implemented by the Pacific Islands Applied Geoscience Commission (SOPAC) for the Kiribati Ministry of Fisheries and Marine Resource Development. 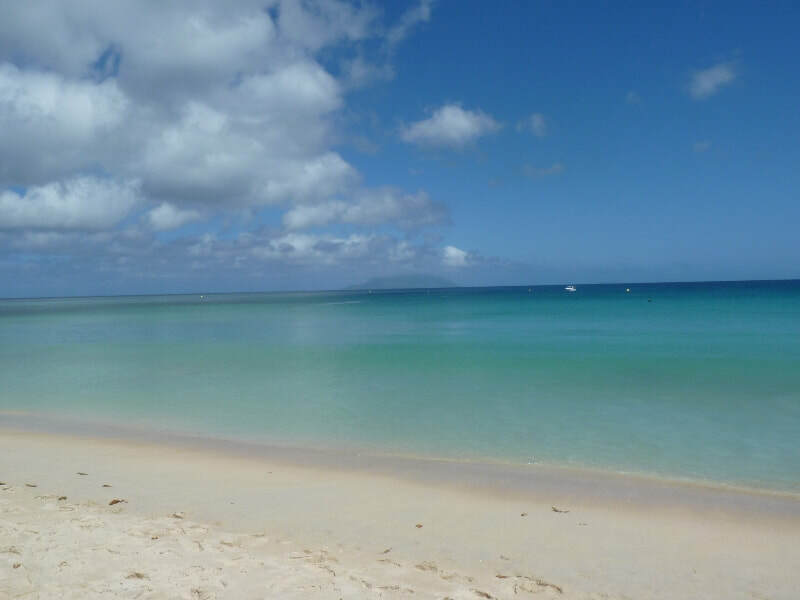 The ESAT project is working to protect vulnerable beaches in South Tarawa from sand mining by supplying an alternative supply of sand by dredging the lagoon. 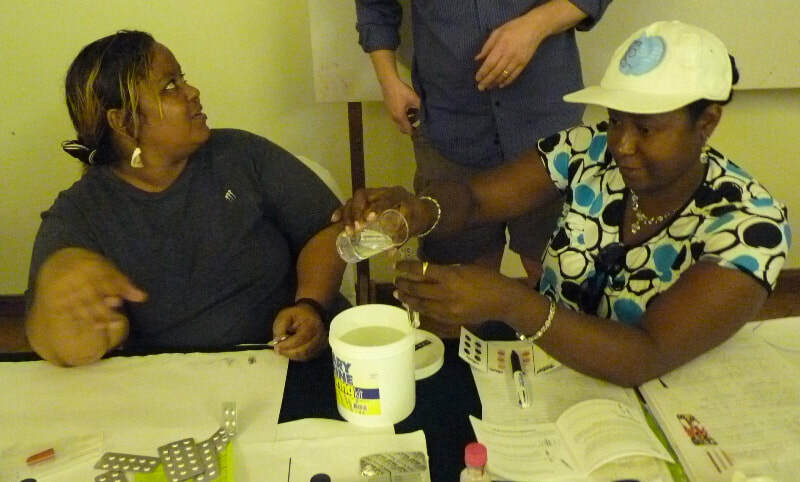 The project includes a substantial community participation programme and it was here that Sandwatch was seen as having the potential to contribute. 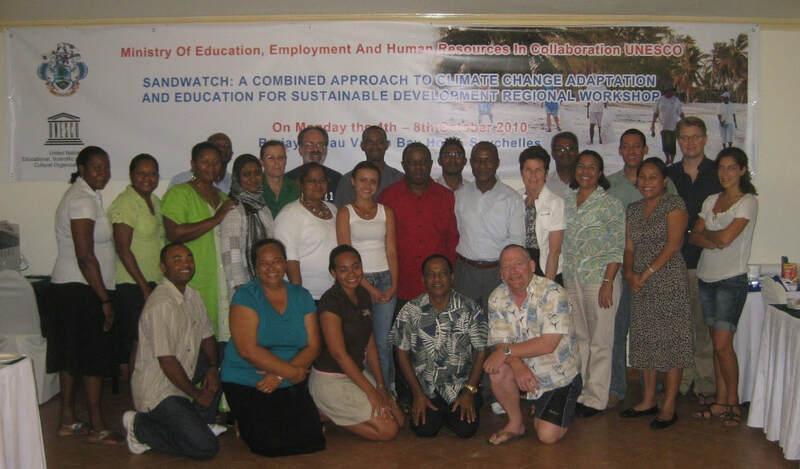 The ESAT project collaborated with the Curriculum Development and Resource Centre (CDRC) of the Ministry of Education who will be undertaking a review of the school curriculum in 2011. A Sandwatch training workshop was held in September 2010 involving teachers and educators as well as staff from the CDRC and the Ministry of Fisheries and Marine Resource Development. 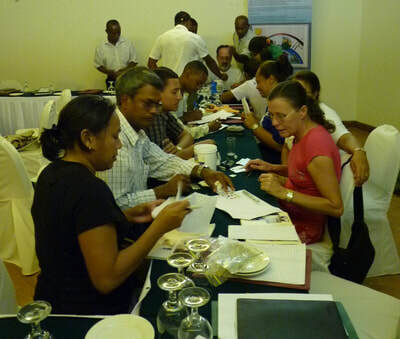 Following the workshop, a coordinating committee involving the schools participating in the workshop as well as representatives from the CDRC, Ministry of Fisheries and Marine Resource Development and the ESAT project was established. Plans have been made to start Sandwatch activities in the schools in February 2011. This will provide valuable experiences for the curriculum review. · There is a need to include other partners in Sandwatch. • Build beach resilience and thereby contribute to climate change adaptation. • Prepare an action plan. 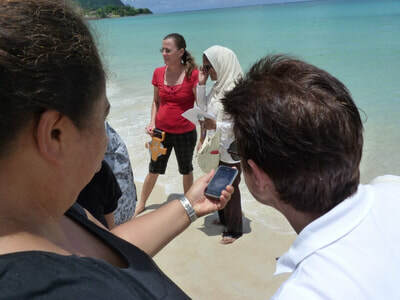 After the project is completed, evaluating the results and documenting the lessons learnt is very important for future Sandwatch project activities. Dave Gray described the Sandwatch database, which will provide a central repository for the data collected by Sandwatch Groups. The database will provide secure storage for the data. It will make the information collected available to a wider audience and will allow for comparisons of data trends for beaches in different geographical areas, This will provide a unique source of information for monitoring how climate change is affecting beaches around the world. Members of Sandwatch groups will access the database over the Internet through a web browser. The user software will use the Adobe Flash Player that can be freely downloaded and is probably being used by many Sandwatch practitioners already for viewing other Internet sites. This allows us to provide you with software that will function with any current browser and computer and have features that will be responsive and easy to use. 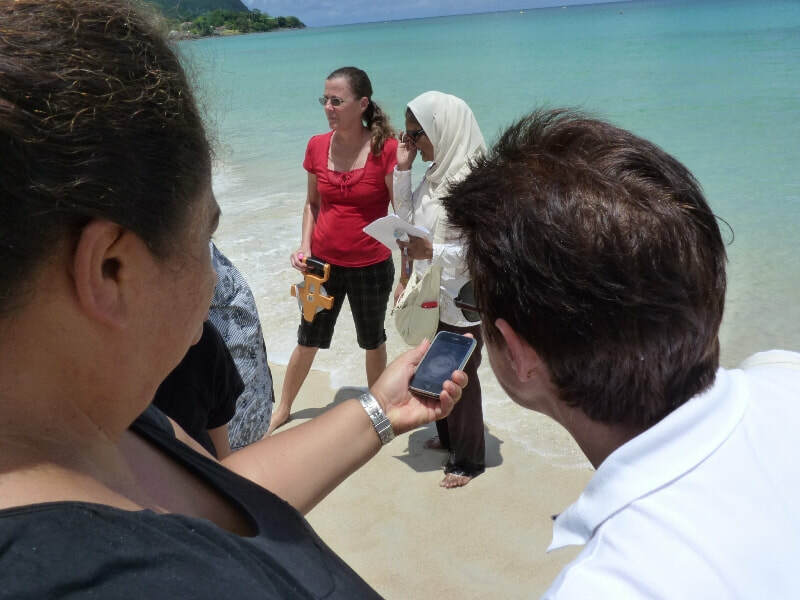 The database is being designed to hold all the information collected for a beach. As well as storing basic descriptive information about a Sandwatch group and their beach, users will be able to upload and store pictures, beach profiles, weather data, and water quality data. The software will include access to Google Maps. 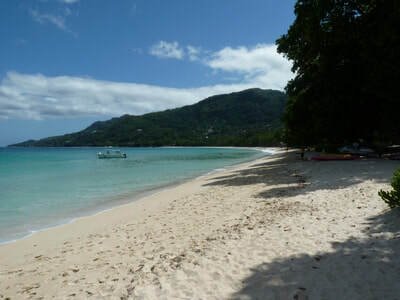 Users will be able to store the coordinates for your beach but a viewer will be able to move around the area as with any other Google Maps application. 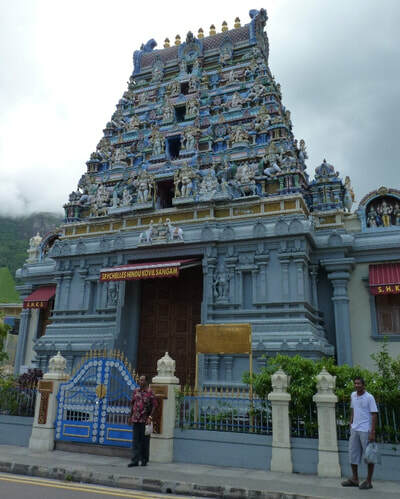 · There was a request to include a facility for updating the database offline and uploading at a later time for countries with slow and expensive internet connections. · Some of the countries represented felt there was a need to hide some of the data. 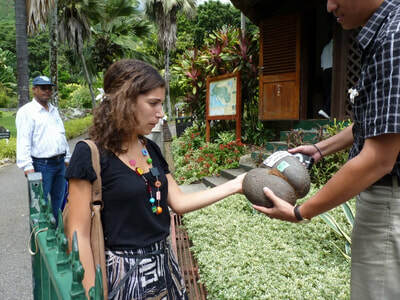 Tourism is a major industry in many countries, and some of the results may be viewed as sensitive for the tourism industry. These concerns were directed towards the water quality data in particular, and to a lesser extent towards the beach debris data. 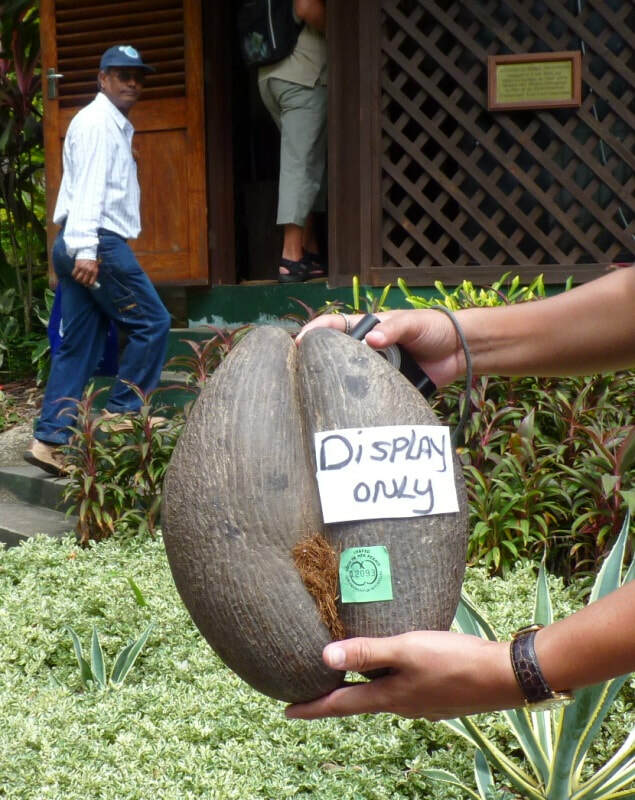 Countries expressing this concern included Cook Islands, Dominican Republic and Seychelles. 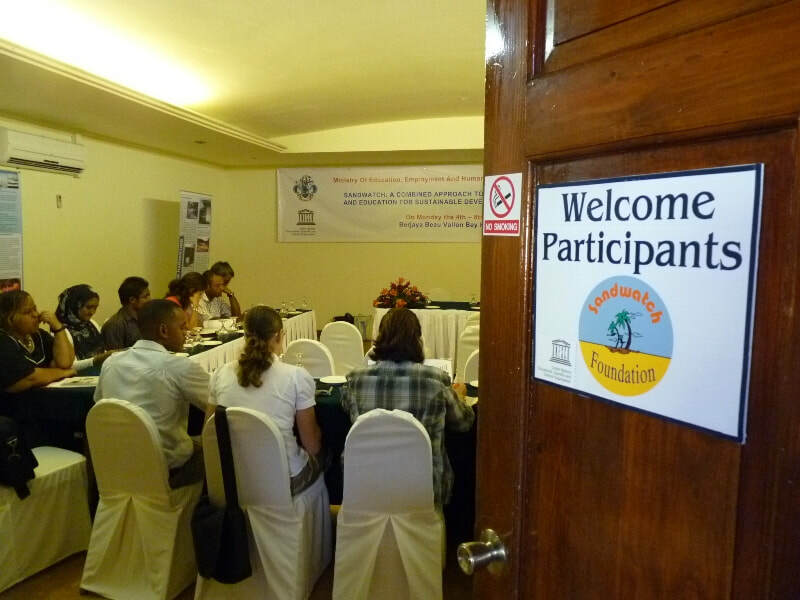 · Other participants expressed the view that hiding or not entering water quality data for example signalled problems with water quality. 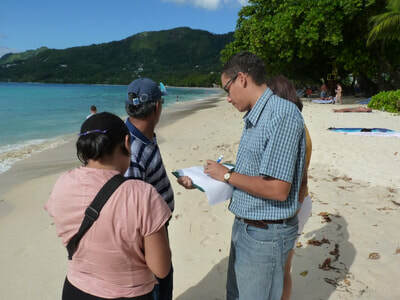 · Other participants said that the database will contribute to worldwide knowledge about beaches and therefore information should not be screened or hidden. It was also pointed out that Sandwatch had an important role to play as an environmental watchdog. 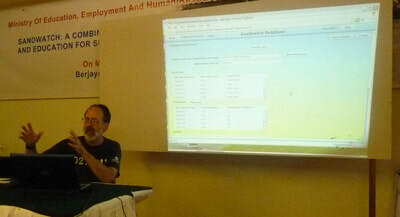 · Other participants pointed to the need to screen people entering data in the Sandwatch database. 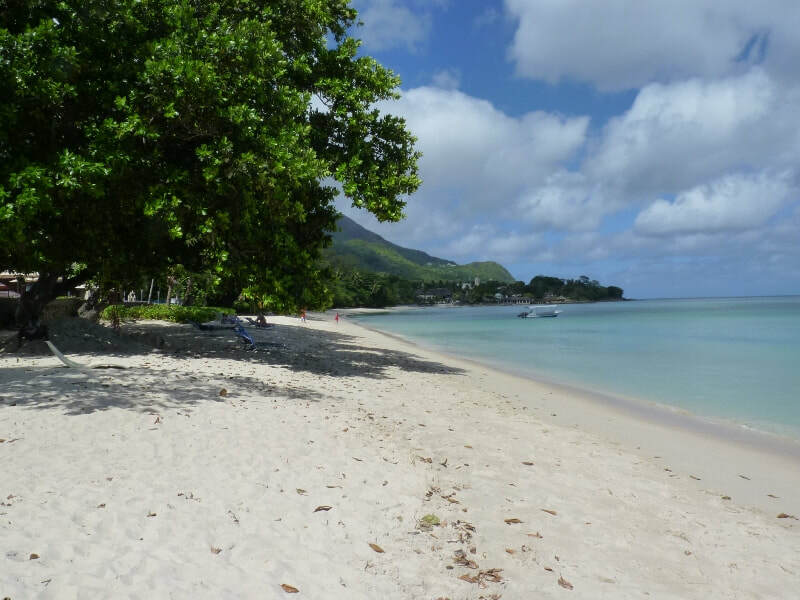 · Ownership of the data was another area of discussion and it was emphasised that Sandwatch groups would continue to be the owners of their data. 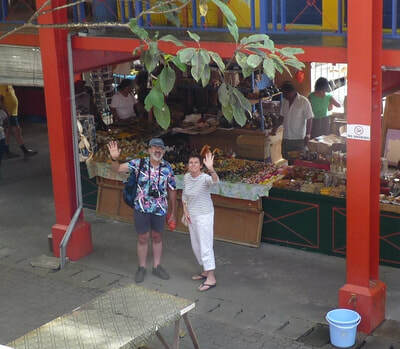 Overall the participants were happy to see the database project start and they felt that it was a useful tool to record their results and that it could be useful for presenting the results and findings to their in-country authorities. In summary the countries new/relatively new to Sandwatch (Comoros, Fiji, Mauritius, Maldives, and Rodrigues) planned to share information about Sandwatch with other government stakeholders, conduct training sessions for teachers and other trainers, start Sandwatch in selected schools and environmental clubs on a pilot project basis, and approach the private sector and other potential funders for assistance with Sandwatch. 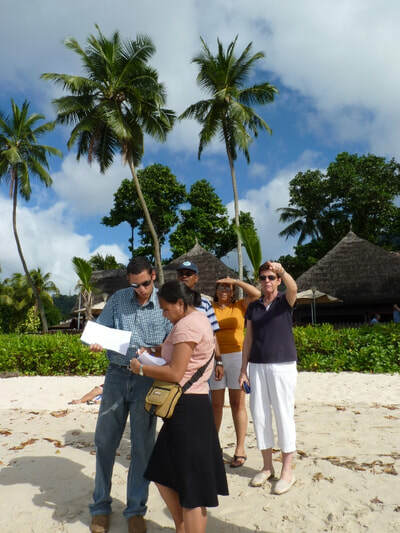 Countries previously experienced in Sandwatch (Cook Islands, Dominican Republic, Seychelles) planned individual activities dependent on their particular situations. These activities included: introduce the new manual to existing Sandwatch groups, investigate ways to include Sandwatch in the curriculum, start Sandwatch clubs in schools, establish Sandwatch committees, and expand Sandwatch to primary schools. 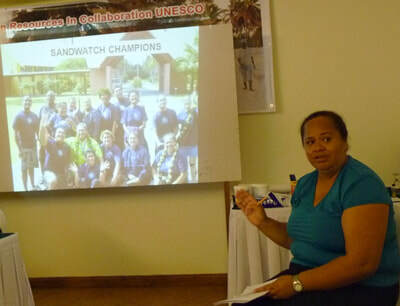 In addition, participants from the Pacific and Caribbean regions made a proposal to UNESCO and the Sandwatch Foundation to hold a Sandwatch Conference in Fiji in 2011. Jeanette Larue closed the workshop by thanking the teachers present for giving up their time during Seychelles Teachers Week. She emphasised that small islands must work together and she hoped to see all the participants again, perhaps in another setting. When people put their hearts into a cause, then things happen. 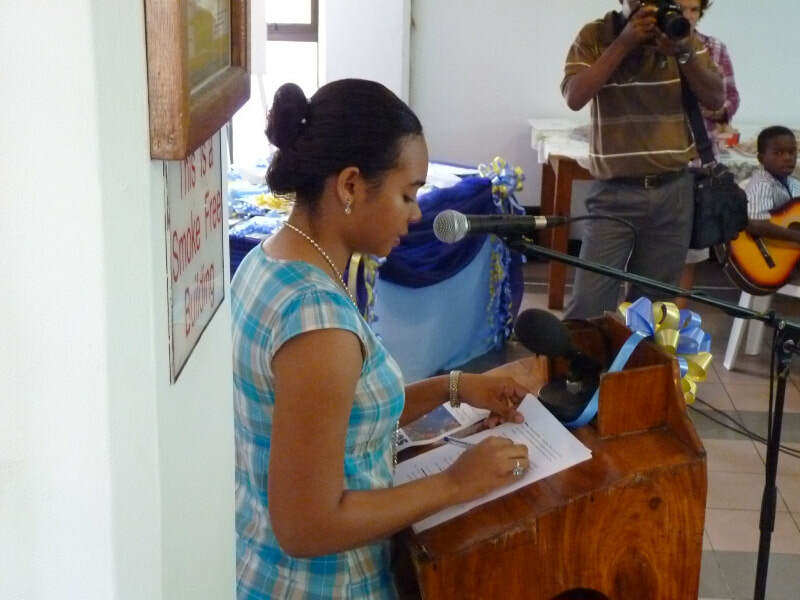 Finally she thanked everyone for their time and active participation in the workshop. 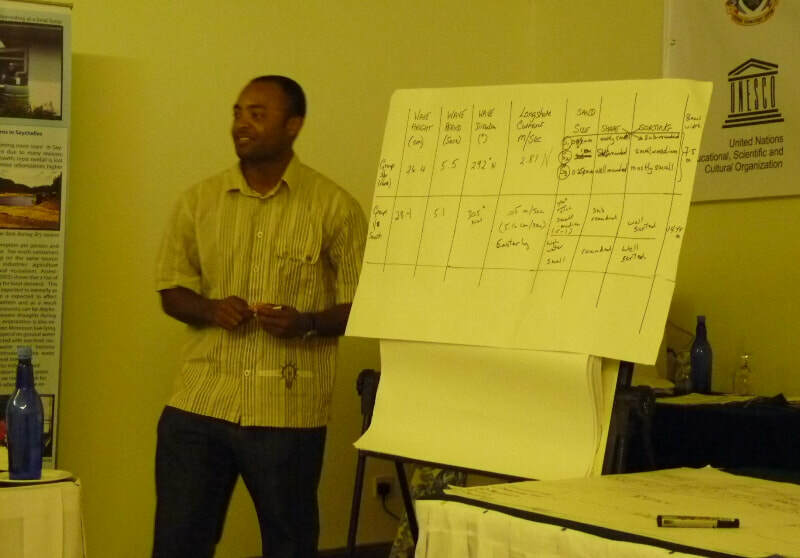 At the end of Day 4, participants were asked to itemise: (1) The most useful aspects of the workshop; and (2) Areas requiring improvement. · Proactive and informal way of conducting the workshop. 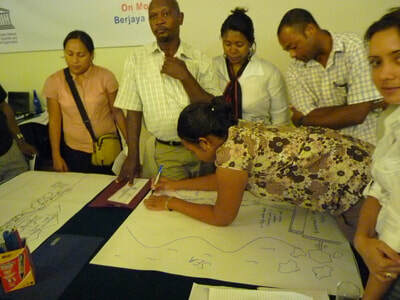 Several ideas were put forward for improving the arrangements and programmes for future workshops.